Sharepoint 2013 both on-premisis and in the cloud, Office 365, offers a great new service that collects all your tasks from Sharepoint, Project Server and Exchange (Outlook) and presents them to you in one common location: your MySite. The feature relays on the Work Management Service Application that aggregates every task assigned to you from within Sharepoint, Project server and if configured also from Exchange 2013. All the tasks are actually synchronized to a hidden list on the users MySite. 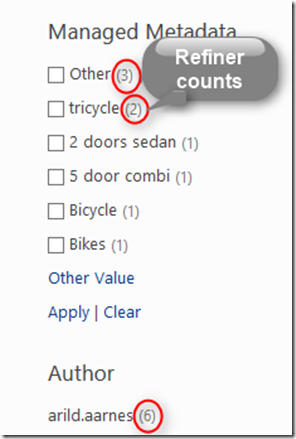 You will find the list using the Tasks link on your MySite left-hand menu. 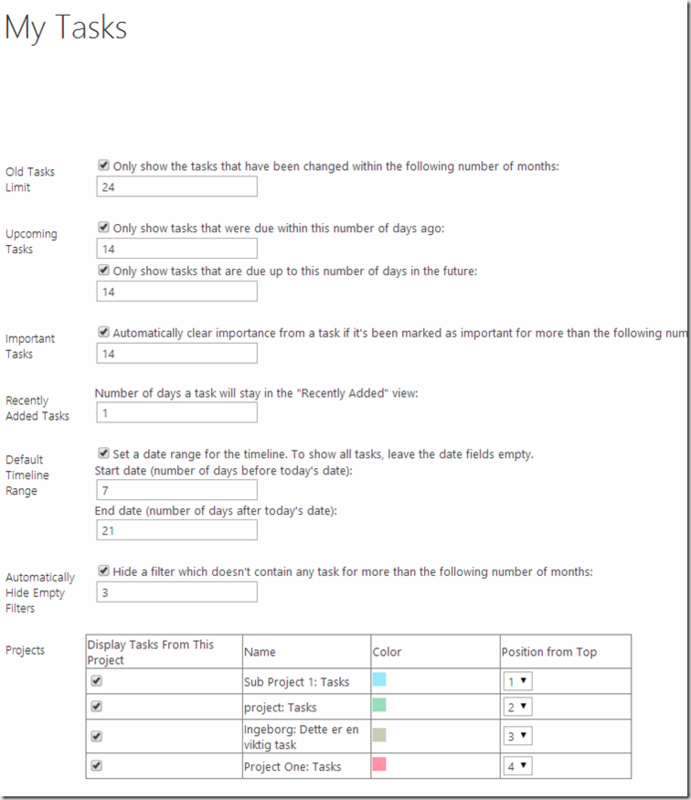 This is a screenshot from the My Tasks section of MySite. You will be able to sort and group all your tasks here, and there are built-in views for completed task, Active tasks etc. There is even an view for Important and Upcoming tasks that will show a Gantt chart. The Important and Upcoming view displays tasks that you have marked as important and tasks that have due dates 2 weeks prior and 2 weeks after today. The Tasks list also have a nice little preview window for your tasks. Click on the three dots beside the task to open the following preview window. 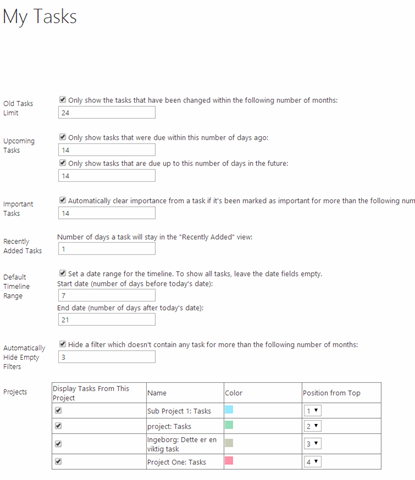 You can configure most of the settings for the MyTasks list such as how many days to define what an upcoming task is etc. And you can define different colors for the different sources of tasks. The following screenshot show the settings that are available. 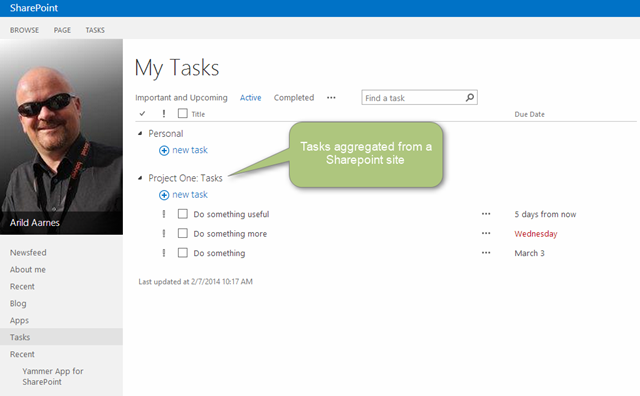 The My Tasks list is fully synchronized so that you can change and update the tasks here and this will be synchronized to the original source for the task whether that was from a Sharepoint task list somewhere or it was an Exchange (Outlook) task. All in all I believe this is a nice little feature to get a nice overview of all your tasks from different Sharepoint task list, Exchange etc. in one location.